New 2018 attracts many pilgrims and tourists. 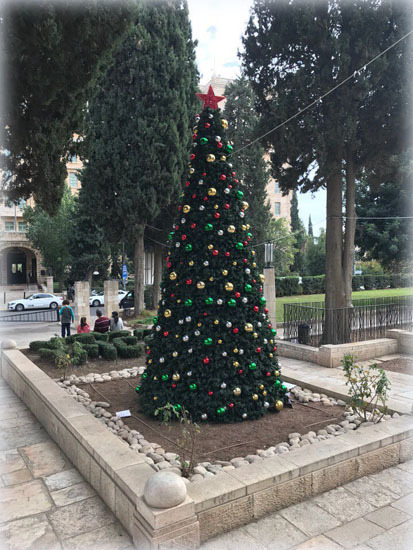 According to the tradition on the eve of the New Year, we sum up the activities of the Orthodox pilgrim center "Russia in colors" in Jerusalem and our portals "Russia in colors", "Orthodox pilgrim in the Holy Land", "Jerusalem Branch of the IOPS" in outgoing 2017. 2017 was quite successful for our pilgrim center "Russia in colors" and our portals, which, as usual, covered the most important and significant events of the past year. In the media field, the video portal of the orthodox pilgrim center "Russia in colors" on the "YouTube" service has recently been added to the existing Internet portals. 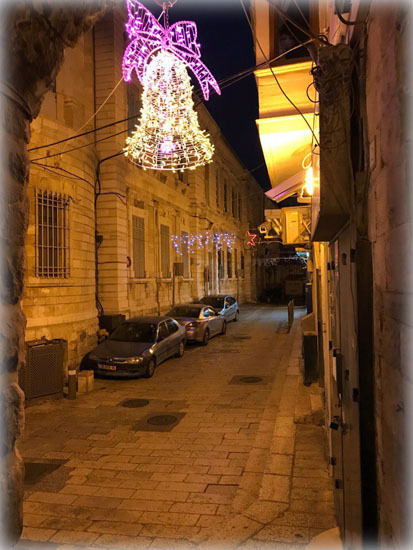 On it, we plan to post video materials related to our pilgrim activities, short video sketches of Holy places, streets of Jerusalem, other cities and places of the Holy Land. The channel has already posted a cycle of two documentaries "On the Gospel sites in the Holy Land." The second film is completed just before the New Year holidays. It became an important milestone in the cultural and educational projects of our pilgrimage center. The project was implemented jointly with the film studio "Videobrabota" (Germany, Berlin) and started in 2006. The creative team in the person of director Roman Busuyev, cameraman Aleksey Fedorov and me as the presenter chose for the illumination of Christian shrines the format of a live story about Orthodox shrines and the events of the Bible that occurred in the Holy Land. 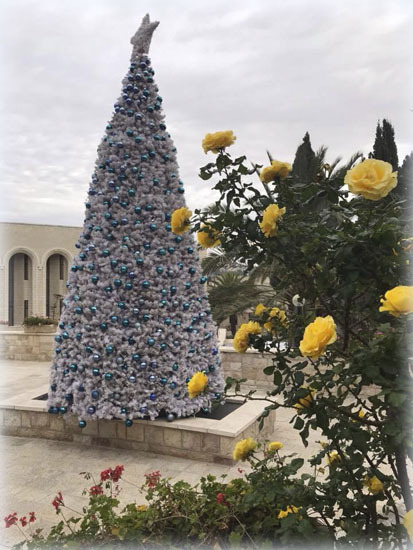 From the very beginning, the task was set to convey the unique and unique atmosphere of the Holy Land with the Orthodox dominant, without embellishing or diminishing the reality of today's time. We tried, in the form of a smooth story line, to convey to the audience the versatility of the Holy Land, its amazing mystery with a deep history, with a lot of biblical and evangelical events. 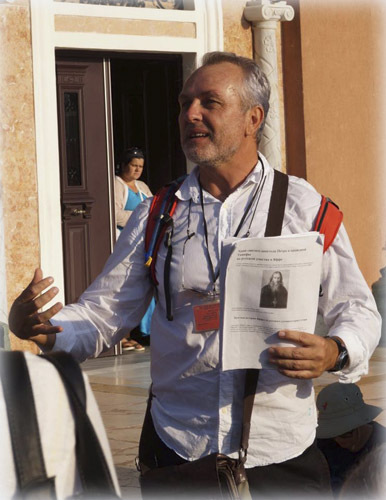 I hope that the combination of the video series with the story of the Holy Land and the themes of my author's music, specially written for the film, not only gives the viewer a special impression of orthodox shrines, churches, monasteries that are so rich and unique in the Holy Land, but also contribute to a deeper emotional understanding holy city. 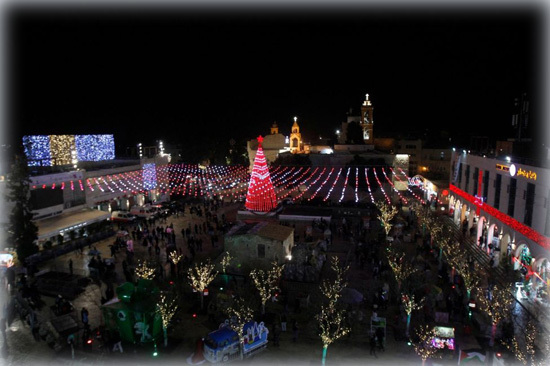 The first film, released on March 5, 2007, was dedicated to the city of Jerusalem and geographically embraced the Old Town, the Garden of Gethsemane and the Mount of Olives. The second film, completed in December of the outgoing year, takes viewers to Galilee, the monasteries of the Judean Desert and Bethlehem. The creative team decided to provide the full version of the first and second films in free access on the channel of the orthodox pilgrim center "Russia in colors" in "YouTube", on the portals "Russia in colors" and "The Orthodox pilgrim in the Holy Land." We wish everyone an enjoyable viewing and invite, after making a virtual trip to the Holy Places, to come to a real pilgrimage to the Holy Land with our Orthodox pilgrimage center "Russia in colors" in Jerusalem. 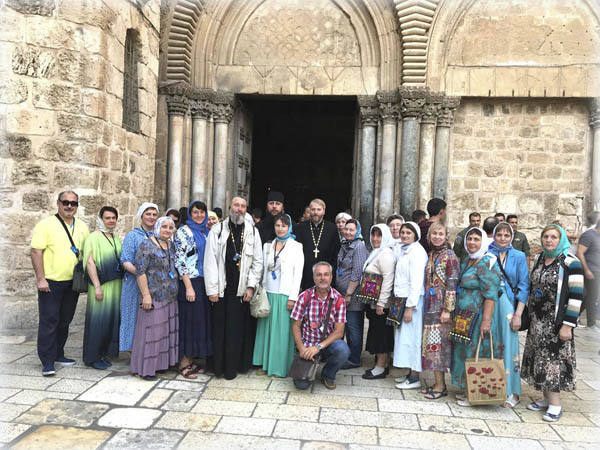 In 2017, successfully continued work with pilgrims and tourists coming from different parts of Russia, CIS countries and far abroad to the Holy Land. We accept both organized groups of pilgrims and tourists in the framework of 8-day and 11-day pilgrimage tours, and we organize individual excursions from Jerusalem along 33 routes in different directions, visiting holy places from Upper Galilee to Eilat. At the end of this year, our minivan pilgrimage center for up to 6 people wishing to make individual excursions, was purchased a luxury excursion minivan. For large pilgrimage and tourist groups, we purchased a set of radio headphones for better perception by the guide's guide. Professional audio equipment allows you to hear the guide at a distance of up to 90 meters. Thus, the technical equipment of the pilgrim center "Russia in colors" corresponds to the modern level. The quality of excursion service is also high, including due to the fact that only certified drivers with a license from the Ministry of Tourism work in our center. 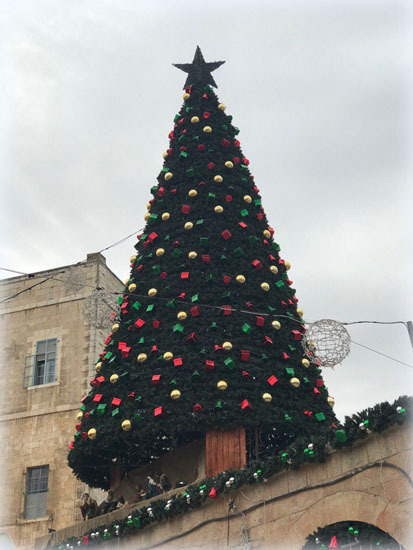 Today it is especially important when the tourist and pilgrimage market is full of unscrupulous persons who violate the laws of the state of Israel and offer their services at lower prices, but at the expense of quality. Such "guides", local or coming from abroad, often give pilgrims and tourists a misconception about the Holy Land, but, much more dangerous, are simply helpless in insurance cases, can not provide first aid, do not know how to quickly attract emergency services. Accompanying groups from other countries sometimes just do not know the language, local customs and rules. As far as we know, the Ministry of Tourism is ready to consider the issue of revoking the license of host tourist companies in Israel that allow such "guides" to work. 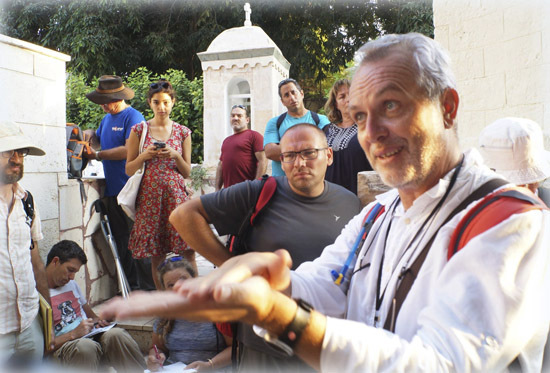 In 2017 my continued cooperation with the Ministry of Tourism of the State of Israel continued, we conducted several field trips in Hebrew in the framework of advanced training courses for professional guides licensed by the Ministry. This work will continue in 2018. The schedule of the courses for the improvement of the certified guides can be seen in the brochure published on the official portal of the Ministry of Tourism of the State of Israel. Topics of the classes - Russian spiritual, cultural and political presence in the Holy Land - always cause genuine interest in Hebrew-speaking and Russian-speaking certified guides. Many of them remain with me on constant communication, ask questions, specify historical dates, etc. in Hebrew for licensed guides from the Ministry of Tourism of Israel. The theme of the lesson is "The role of Archimandrite Antonin (Kapustin) in the formation of the Russian spiritual presence in Jaffa." This year, the increased interest in the topic of the Russian presence in the Holy Land was caused by anniversary dates, among which is the 170th anniversary of the establishment of the Russian Ecclesiastical Mission in Jerusalem, the 200-th anniversary of the birth of the third chief of mission, Archimandrite Antonin (Kapustin), who left a notable Russian trace on Holy Land acquisition of land associated with the memory of the events of Holy History, and the construction of Russian churches and monasteries. Many questions are asked by guides, journalists, pilgrims, guests and local residents, history lovers about the fate of the Sergievsky Compound complex in the center of western Jerusalem, built in 1886-89. The Imperial Orthodox Palestine Society (IOPS). A year has passed since its restoration was completed, people want to visit it, see how the building has changed. This is a very successful project of Russia, both historical and modern, there is something to admire, but, unfortunately, free access, as promised, is still not available at the farmstead. It is known that it was transferred to the administration of the Russian Orthodox Church in conjunction with the IOPS, there were held several internal events, including the 170-th anniversary of the RDM, where guests were admitted only by special invitations. According to the IOPS, it already accepts pilgrims, but in fact the courtyard is closed and inaccessible to the general public. For example, at the Alexander Compound in the old city, also built by the IOPS at the end of the XIX century, you can go completely free from morning till night, inspect the interiors, archaeological excavations, pray at the Threshold of the Judgment Gate and in the temple. At Sergievskoe metochion, as many people were convinced, people are not allowed out of the street. This is regrettable, because we worked for many years volunteer volunteers in this building, sincerely hoped that it would be an open and hospitable Russian corner with museum expositions, an archive and a library, an exhibition hall where everyone can touch Russian history. But so far, except for repeatedly voiced high-profile plans, the matter towards their practical implementation has not progressed. But let's hope that all this will be realized in the coming year, pilgrims, guests and residents of Jerusalem will be able to walk along the beautiful courtyard and imagine what Russian artists Ilya Repin and Nikolai Koshelev, the publisher Alexei Suvorin, who stopped here a hundred years ago, professors Nikodim Kondakov, Akim Olesnitsky, Alexey Dmitrievsky, Countess Olga Putyatin (daughter of admiral E. V. Putyatin) and many, many others, well-known and alas, unknown to us people - thousands of them came to bow to the Tomb of the Lord day. We continue to conduct information and educational work, including on our sites. The portal "Russia in colors" decorated the articles of our volunteer authors who continue to please with interesting materials. Among them: Pavel Gusterin (Russia), Yuri Kishchuk (Russia), Alla Novikova-Stroganova (Russia), Irina Akhundova (Russia), Oleg Gokov (Ukraine), Sergey Falco (Ukraine), Xenia Krivosheina (France), Oksana Babenko Russia), etc. We express our gratitude to all authors for the sent articles. The site continues to work in its constant concept and its themes are replenished and constantly expanding. The website "Orthodox pilgrim in the Holy Land" continues its work. The component of ties between Russia and the Holy Land is also reflected on the website of the Jerusalem branch of the Imperial Orthodox Palestine Society, where news of pilgrimage, tourism and archaeological finds in the Holy Land is also actively published. 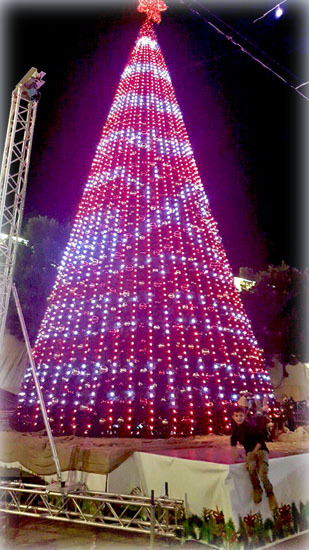 We are trying to publish reliable information, not fake news, like some websites and media outlets that made a fuss about the Internet by the end of the year that Christmas was allegedly "canceled" in Nazareth and Bethlehem in connection with the plans to transfer the American embassy to Jerusalem. I must especially emphasize that just someone had to make a noise, pursuing their immediate political benefits or competing in the composition of fried news. 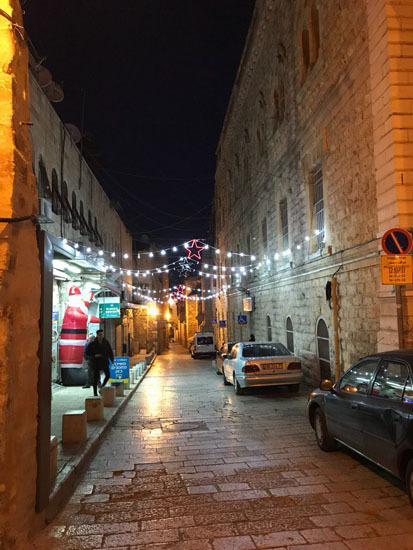 The Holy Land, decorated with Christmas lights, festive Christmas trees, Christmas cradles, remains the place where the Savior of the world Jesus Christ was born, and no "info-noise" does not steal Christmas in the Holy Land. We see here pilgrims and tourists from all over the world who these days with a special sense of grace are eager to visit the place of the Nativity of Christ in Bethlehem, the Holy Sepulcher in Jerusalem, the true place of Baptism on the holy Jordan River, Nazareth is the city of the Annunciation, the holy Mount Tabor, the sea The Galilean and other important and significant shrines with which the Holy Land is so rich. In the New Year 2018, with the support of our friends, we will try to make our portals as much in demand and invite new correspondents to cooperate.